I recently was told about an incident in a Facebook group that totally surprised me and to say the least shocked me. And it proves again, that Germans do not understand Social Media – and maybe never will (I am German btw). Someone was banned from a (German) Facebook group and attacked/trolled massively because he or she shared other peoples’ or companies’ posts (pictures, links, videos) on their Facebook fanpage. 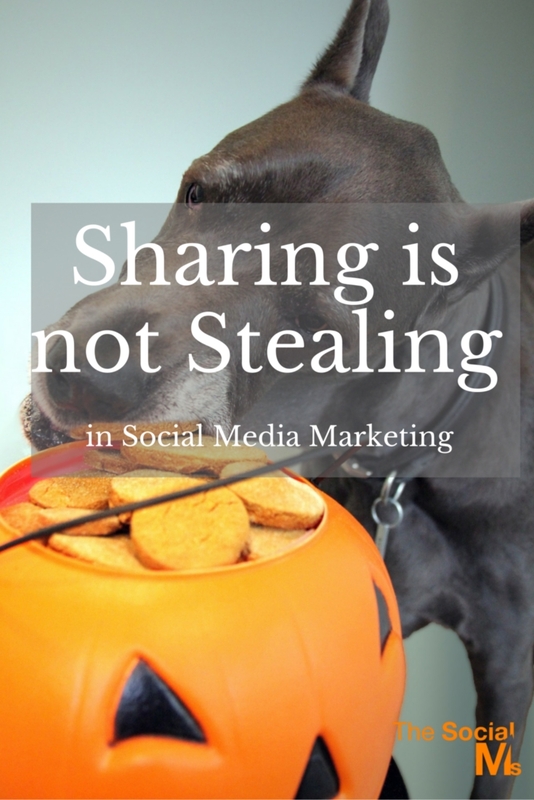 And no, we are not talking about stealing content, we are talking about sharing with the Facebook-Share-Button. I love when my/our posts get shared. That is one reason for doing what I do. What the … is going on here? Next to the clicks on the links I share in social media, shares (or retweets) of my updates is the second most important metric I monitor (depending on what I am working on, it can be the most important metric). Isn’t that what we are all looking for? Shares of others give my posts and content an additional audience. Posts getting viral (meaning an endless number of people share our post) is the ultimate success in social media – or isn’t it? The question of how to get more and hopefully influential people to share your posts is covered in an endless line of blog posts. People put a huge amount of work into trying to get influencers and people with a large following to share their tweets, updates or blog posts. Since I have a huge Twitter account and am mentioned in various influencer lists for content marketing, I get emails asking me to tweet or share blogs, infographics or videos. I myself have been a victim of stolen content (a blog post re-published somewhere without naming me as author or mentioning the source where it was taken from). No fun! But that is a totally different story. Stealing content without naming the author means taking something, which does not belong to you. Sharing content with your own audience is giving something: It is giving an additional visibility to someone else’s content or update. I admit that the motive behind a share usually is not primarily charity, still it is a win-win situation for both sides. One of the basic metrics to show the success of a Blog, a Tweet or a Facebook post is the number of retweets or shares the post gets. 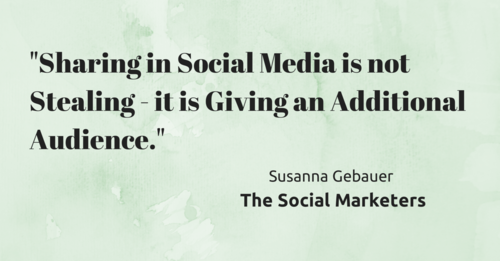 If you want to grow in social media, you have to get yourself and your content in front of a larger audience. One legitimate way to achieve this success is to get your content shared by third parties. Otherwise, you will always and forever be talking to yourself and already existing friends and family. So how can anyone possibly be angry because someone shares a Facebook update? The only reason I can think of for the above-stated incident and the verbal attack against someone sharing updates,is total lack of understanding of the way social media for business works. So how can anyone possibly be angry because someone shares a Facebook update? This case might be drastic, but it is common in Germany to complain about the sharing economy in social networks. Germans want the audience without the implications. They want social media traffic without interaction. They want the results without learning. They want to take without giving. The win-win situation of sharing content on social media seems completely out of their intellectual grasp. Or do we simply don’t like the idea of somebody else winning – even if we do, too.